My third and final week of the "Best Of LeapFrog" choices. This week is the turn of the LeapReader Junior. The girls have already picked Frozen Reading for the LeapPad and Letter Writing for the LeapReader. 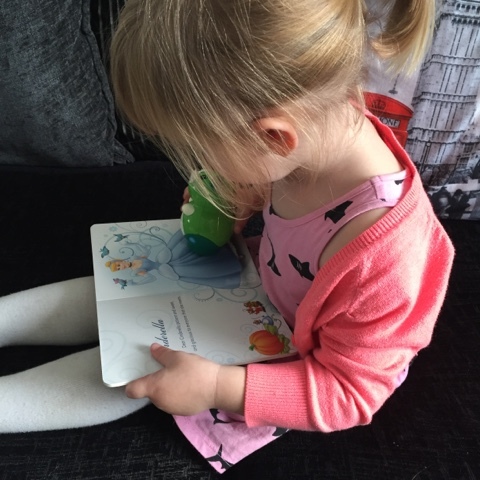 The LeapReader Junior is a device aimed at children aged 1-3 so the decision this week was all Layla's. 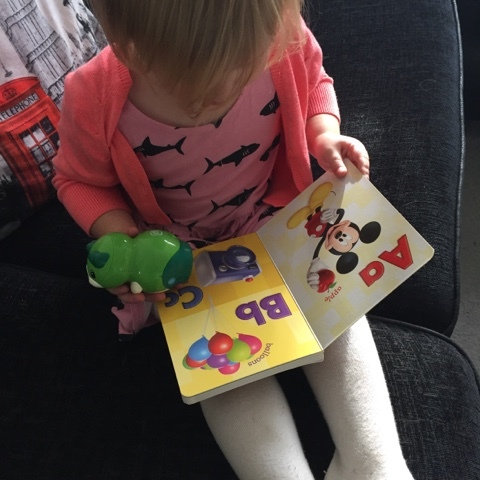 What I love about the LeapReader is that it not only allows Layla and I to sit down and do things together, but it also gives her the ability to listen to a story when I might be busy doing something else. She has loved taking these books up to bed, listening and learning before she goes to sleep. Now when these books arrived she automatically grabbed the Disney Princess one, she is a totally girly girl and loves all things princess, especially when Cinderella is involved. But surprisingly when it came the time to ask her which book was her favourite she decided Mickey was the winner. I have to say I agree with her. 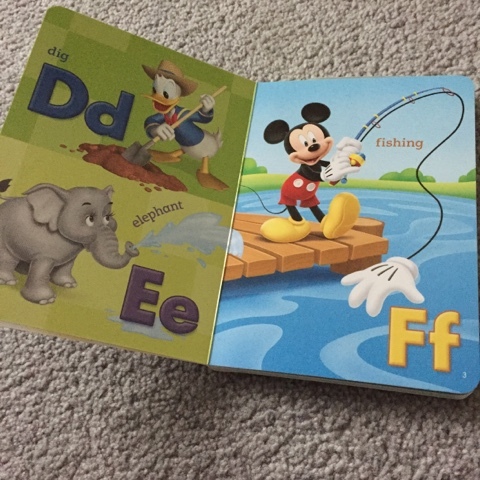 Mickey's book is all about letters. Learning the alphabet and recognising the letters. As a parent I was pleased to see that the letters are displayed in both upper and lower case alongside objects that you'd associate with those letters, ie a for apples, e for elephant. 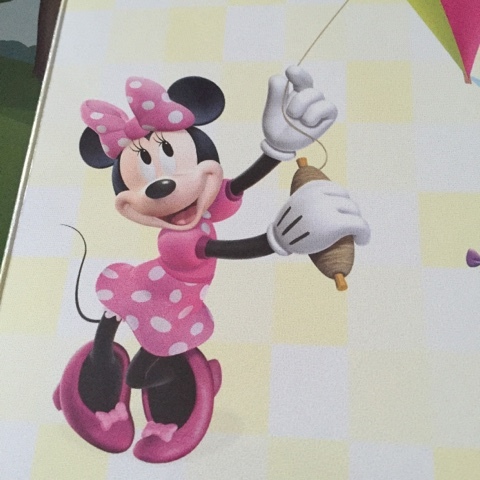 Great pictures with all those well known characters including Goofy and Minnie. Well there we have three weeks of voting from us, but have you put in your votes yet? Head on over to Facebook to tell LeapFrog which games and books of theirs that your children enjoy.